Or Just What did Rommel do to Deserve the Highest German Military Medal? Few people know that already during the First World War German military leader Erwin Rommel played a significant role, especially during the breaking of the Italian front line in 1917. Through words, photos, maps and illustrations this book describes in detail his amazing achievements. In the wake of the 12th Isonzo Battle the Commander of the German Alpine corps, General Otton von Bellow personally promised the “Pour le Merite” award to the first German officer who reached the peak of Mount Matajur. 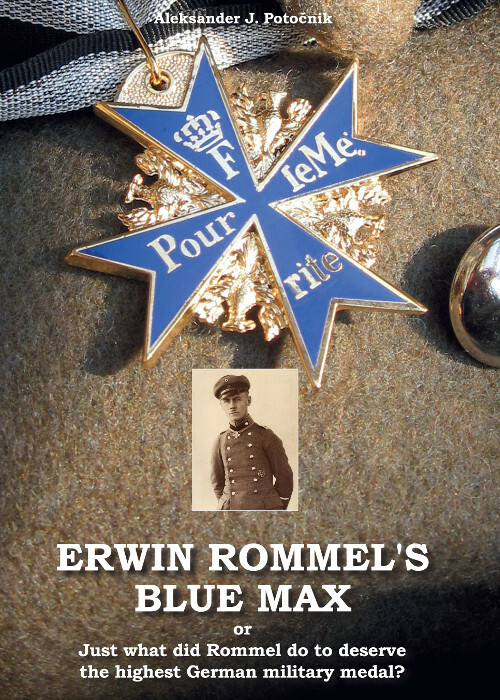 So what did Erwin Rommel do to deserve his “Pour le Merite”? He breached two enemy lines, captured the garrisons holding three strategically important mountain peaks, probably saved thousands of lives and ushered in a new military doctrine. Besides, he was the first the German officer to reach the peak of Mount Matajur.